Videogames still have a lot to learn in the storytelling department, says one of THQ's top dogs. Despite his former career as a Hollywood screenwriter, THQ's VP of Core Games, Danny Bilson, isn't a big fan of cut scenes and cinematics in videogames. He feels that they represent a failure in a game's ability to tell its story, and are the "last resort" of videogame storytelling. Bilson, who moonlights as a teacher of videogame writing at the University of South California, said that videogames shouldn't be about sitting around and watching something happen. He thought that the moment you put a controller in a player's hand, he or she wanted to interact with something, and being forced to watch a movie was an unwelcome intrusion. He also thought that games hadn't really learned how to do stories yet, at least not in their own right. He said that there were some story elements in games that were fantastic, but that ultimately, a game's story was just a pretty wrapper for the mechanics. He thought that while a game's story added more emotional weight to the experience, once separated from the gameplay, very few videogame stories could stand up by themselves. It's almost impossible to deny that videogame storytelling techniques could stand to be improved. 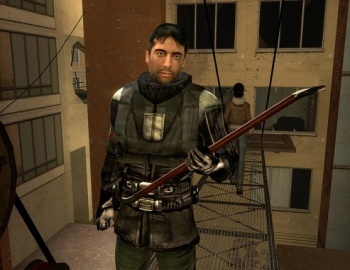 A few games, notably titles like the Half-Life games and the first Modern Warfare, do a good job of presenting story elements without having to break out the cinematics team, but that seems to be the exception rather than the rule. Of course, that kind of storytelling presents its own problems, as a developer can never tell where a player will be looking while the important scene is going on. It doesn't help that videogame protagonists are so frequently mute either, as it stops them from really participating in the scene. Perhaps the best compromise is a mixture of both, a game that does have cutscenes, but keeps them short and few in number, keeping most of the story in-game.